← Think You Know Your Walkers? Prove It! Hallmark Movie Channel will be celebrating everything Jesse Stone starting at 8am CST on Sunday, Feb. 16 with a marathon of Tom Selleck’s favorite character (mine too). Jesse Stone: Thin Ice kicks off the all day marathon which ends with a premiere of Jesse Stone: No Remorse. Robert B. Parker initially wrote a series of detective novels using Jesse Stone as the lead character. These were among his last works and the first series in which the he used the third-person narrative. 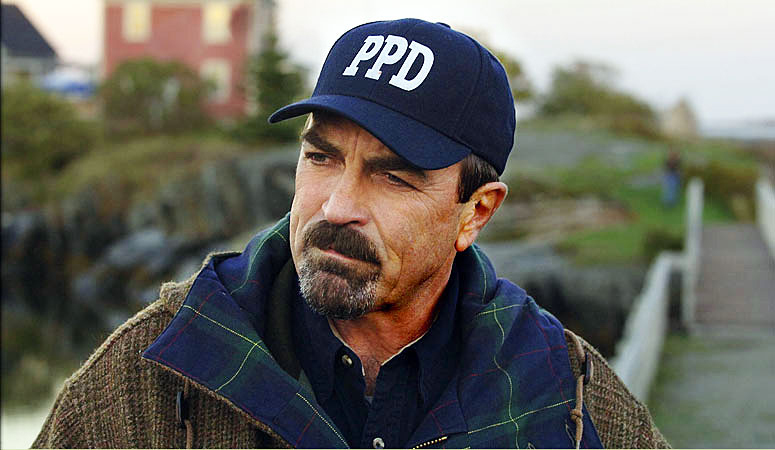 CBS adapted the Jesse Stone novels into a series with Tom Selleck in the title role. They began out of sequence from the books but remained true to storylines. Starting with the fifth film, Selleck and Michael Brandman took over writing duties based on Parker’s novels (who had died while working on another novel at his home in Boston). To date there are 8 Jesse Stone films. The last one, “Benefit of the Doubt” attracted nearly 13 million viewers when CBS aired it on May 20, 2012. Brandman told Variety a few days later that he and Tom Selleck had been notified by CBS that they wouldn’t be ordering any more episodes because (here it comes people) they mainly attract older viewers and because CBS wanted to move away from movies and specials in favor of shorter duration TV series.